Got a hankering for Donkey Kong? The Internet Archive, on a noble mission to preserve the computing software of yesteryear for future generations, has turned its focus to gaming by opening a free archive of home console classics. 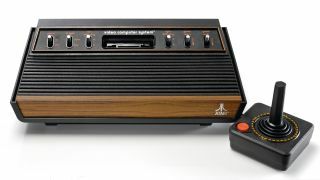 The Console Living Room allows in-browser play of practically any game from five consoles that marked the dawn of home gaming - the Atari 2600, Atari 7800, ColecoVision, Magnavox Odyssey, and Astrocade. Thanks to the versatile MESS emulator, games from the 70s and 80s like Donkey Kong, Frogger, Space Invaders, California Games, Pac-Man and Mario Bros. can be played within the web browser. Currently, the games don't have sound, but the organisation says it will be added soon. "In coming months, the playable software collection will expand greatly," said Jason Scott, the curator of the Console Living Room. The archive will give those raised on Call of Duty and GTA a chance to see the origins of their passion, while those non-plussed by next-gen will have the opportunity to revisit their era free of charge. If nothing else, it'll let younger gamers, who've only heard of the legendary Atari disaster E.T. The Extra Terrestrial a chance to experience how just terrible it was. Microsoft's first exclusive, original documentary for Xbox Live will chart the excavation of a landfill where thousands of unsold E.T. cartridges are buried. Yes, it was that bad.